Aamir Khan's wife Kiran Rao hopes to create a market for independent film distribution at Jio MAMI. Superstar Aamir Khan’s director wife Kiran Rao, who has been appointed as the chairperson of the MAMI film festival, hopes to create a market for independent film distribution at the event. 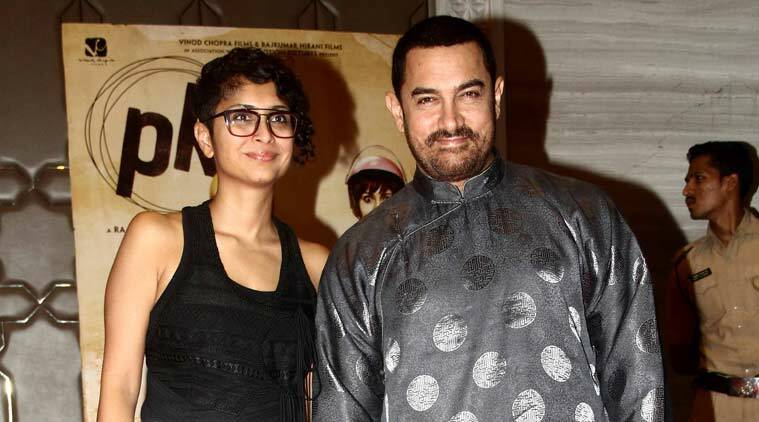 Superstar Aamir Khan‘s director wife Kiran Rao, who has been appointed as the chairperson of the MAMI film festival, hopes to create a market for independent film distribution at the event. “We hope to create a market for independent film distribution at Jio MAMI, as this is one of the biggest hurdles independent films face in India,” the director told PTI. Kiran, 41, said the festival is an important platform for filmmakers to showcase their work and get feedback. “Film festivals have numerous advantages for directors and producers, as they get to watch the work of their contemporaries from around the country and world, as well as an opportunity to network and interact with other film professionals. “They also get to interact with their audiences through masterclasses and Q&As, which gives them reactions and vital feedback about their films,” she said. Last year, the festival faced hurdles to gather funds. “Nothing went wrong with MAMI festival. The five-year funding that Reliance ADAG group had given MAMI had come to an end, and the festival organisers found it difficult to raise fresh funds. “But thanks to well wishers and public support, the festival was held as planned,” the “Dhobi Ghat” director said. She will be taking appropriate measures for the growth of the MAMI festival. “The focus of the festival has always been to showcase the best of Indian and international independent cinema, and that will continue… We have new sections, programmes and events that we will be announcing soon,” she said. There are new board of trustees of MAMI like Anurag Kashyap, Farhan Akhtar, Karan Johar, Vikramaditya Motwane, Riteish Deshmukh and Deepika Padukone. “The members of the board of trustees are all known for the excellence they have shown in their fields, be it as actors, directors, producers, distributors or exhibitors. They have all been very encouraging of the festival, and helped us in different ways,” Kiran said.